Let's talk hair today guys! I'm a beauty fanatic and I love trying new products. I love sharing products that work for me with you guys even more. I'm very particular about my hair care products because my scalp gets dry easily and that pesky dandruff comes out to play. The Fall season is here and with the change in seasons that's when my scalp gets dry the most. I love wearing black a lot, especially during the Fall, and seeing those annoying flakes drives me crazy. I've used anti-dandruff products in the past but the products were harsh and took away my hair's moisture balance. I also noticed that they made my hair feel rough. 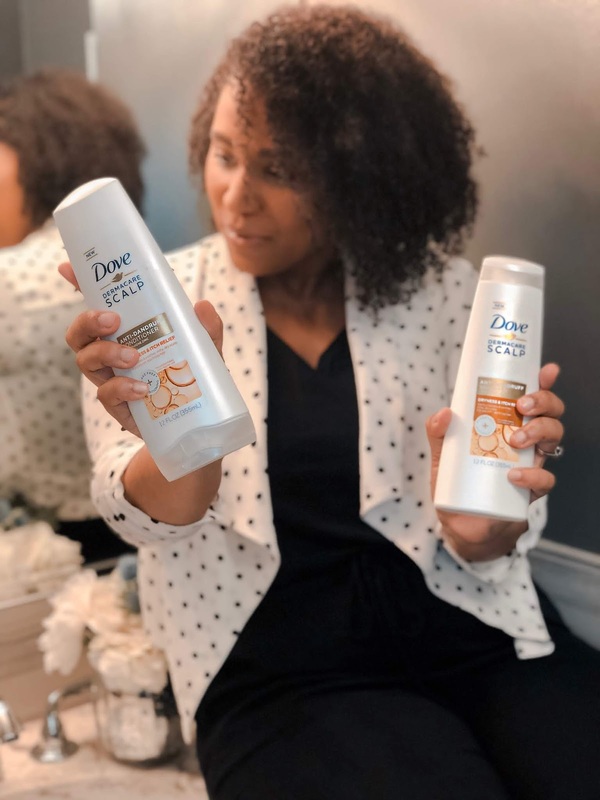 You guys know Dove is one of my favorite beauty brands, that I both love and trust, so I definitely had to try the Dove Dermacare Anti-Dandruff Dryness and Itch Relief Shampoo and the Dove Dermacare Anti-Dandruff Dryness and Itch Relief Conditioner. I picked up the duo in Walmart's hair aisle and first things first? I must say it smells amazing. I'm a sucker for hair products that smell good! I also love the formula: it's formulated with coconut and shea butter (which I love), which means it nourishes and alleviates dryness. 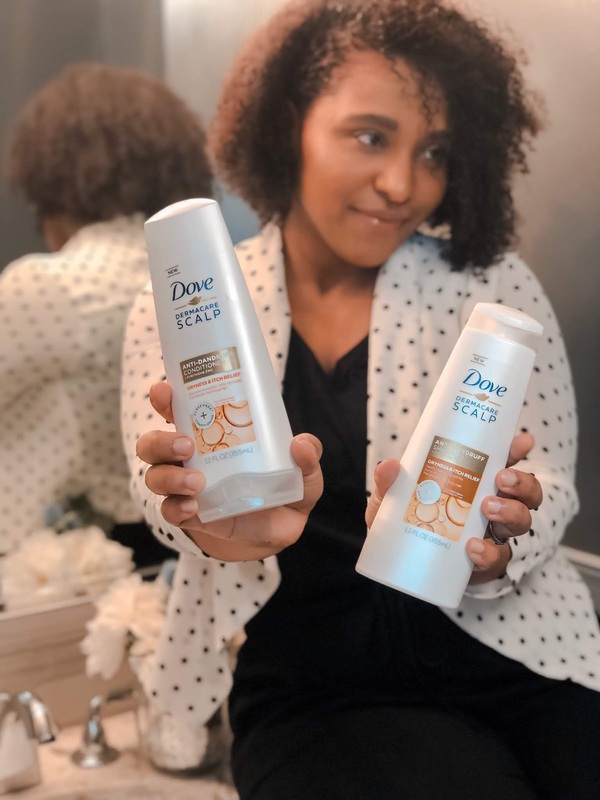 Dove Dermacare leaves your hair flake free with regular usage and nourishes your hair so you don't have to compromise flake free and nourished hair. Don't you just love a product that has a lot of amazing benefits?! Latley I have been rocking my Afro-Latina curls and I just couldn't imagine using products that take way the moisture balance in my curls. Thank you Dove Dermacare for giving my hair the TLC it needs. This will be my go-to product this Fall season. Do you guys have a dry scalp like me, or any dandruff problems? Share your story below!